Everything, from the accents to the mannerisms of the title characters, is impeccably British to the point of parody. 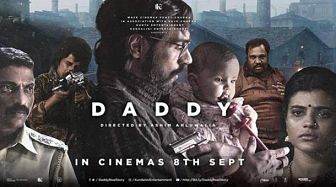 The film is paced well but unfortunately, a lot of the jokes fall flat. The film simmers but never really sizzles, despite moments of potential. Mortdecai’s stiffly waxed moustache stays unruffled through car chases and fist fights and shades of Jack Sparrow clearly creep in many times, especially when it comes to Depp’s by-now familiar sozzled-and-swaying screen routine. While the script is lacklustre, it is only Depp’s talent that keeps this film afloat. 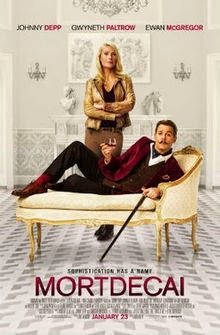 Mortdecai pays more attention to costume design and make up, exotic locales, and downright dreadful animation, than it does to character development, direction or Depp control. In its present form, it is far too cartoonish-ly stylised. It is difficult to understand why Koepp, Depp, Paltrow, Bettany and Aronson agreed to make the film. Mortdecai, eventually, is but a joke — an inside joke, which only the above mentioned five persons will find amusing. The rest of us must suffer through it.